Whether you’ve dealt with a tornado, snowstorm, thunderstorm, hurricane, or hail storm, it is important to check your roof for roof damage. While every storm is not apocalyptically destructive, wind alone can cause enough damage to your roof that it requires repair or replacement. Inclement weather of all kinds can have numerous negative effects. Whether you’ve dealt with a tornado, snowstorm, thunderstorm, hurricane, or hail storm, it is important to check your roof for roof damage. Take a close look at your roof and see if you require minor home improvement or if there is notably large damage that may require contracting services. Atlantic Maintenance Group is here with some signs to look for while checking for roof damage. 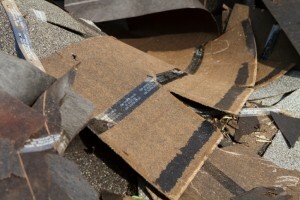 Inspect your attic for leaks or water damage. This is often easy to spot. If you find water stains or leaks following a storm, this is a sign that you require roof repair or replacement. Some signs of storm and roof damage can be spotted on the ground. Check for missing shingles or missing pieces of metal fascia or metal that may have been knocked to the ground from your roof or chimney. Assess the condition of exhaust pipes, valleys, and any outer edges or angles where the roof meets the walls. Stay out of your home until a professional can assess your home for both structural and roof damage. If your home suffered structural damage you will require contracting services to patch it up and do some serious home improvement. Hail can do a lot of damage. It is important after a storm of this type to check for both siding and roof damage. One type of common hail damage comes in the form of dimples, which occur when smaller chunks of hail harshly pelt the outer layer of shingles. This entry was posted on Thursday, February 18th, 2016	at 8:19 pm	and is filed under Blog, Roofing Maintenance	. You can follow any responses to this entry through the RSS 2.0	feed. Both comments and pings are currently closed.